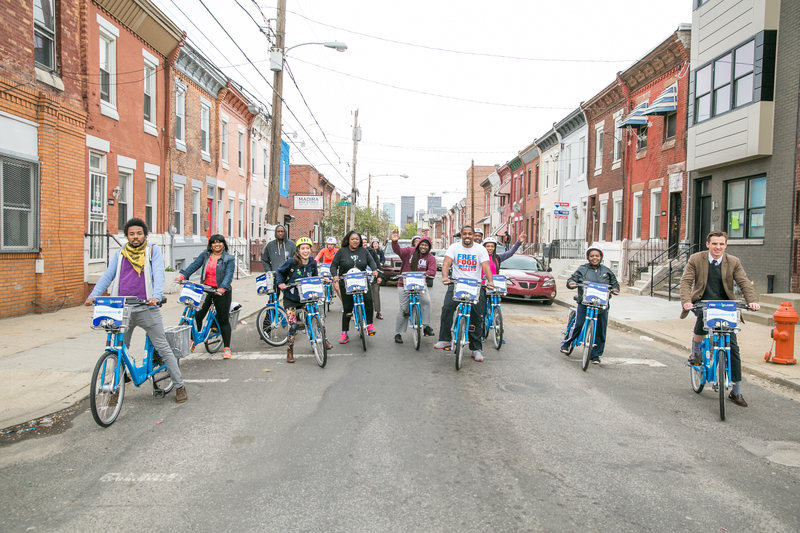 A group ride during Philadelphia's bike share launch event. The Better Bike Share Partnership is a collaboration funded by the JPB Foundation between The City of Philadelphia, Bicycle Coalition of Greater Philadelphia, the National Association of City Transportation Officials (NACTO), and PeopleForBikes to increase access to and use of bike share in underserved communities. 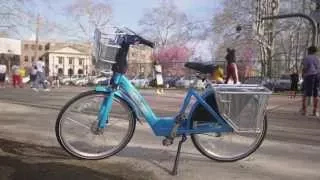 The City of Philadelphia launched a new bike share system in April 2015; this grant funded 20 stations in underserved communities there, which the Bicycle Coalition of Greater Philadelphia is working to engage. 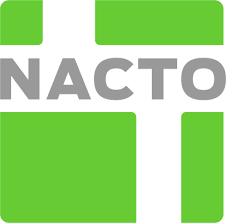 NACTO’s role is to collect and disseminate best practices on bike share, including equity strategies. PeopleForBikes will administer $900,000 in grant funding over three years to partnerships of bike share operators, cities and local nonprofits to help U.S. cities develop and implement strategies to increase bike share use in their own underserved communities. 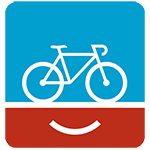 PeopleForBikes is also managing a storytelling effort to better communicate the approaches, successes and challenges of the grantees through blogs, articles, images and videos. Bike share represents an inexpensive, accessible, and healthy new form of public transit. However, traditionally bike sharing systems are used by city residents who have higher incomes. Bike share members often do not represent the diversity of their cities. The benefits of bike share must be accessible to populations who stand to gain the most from a low-cost mobility option. The Better Bike Share Partnership brings together organizations in Philadelphia and from across the country who are dedicated to making bike share a socially equitable form of transportation. Through strong community engagement efforts, the Partnership will ensure all residents of Philadelphia have access to ride, while also creating a scalable equity model for other cities to incorporate into their bike sharing programs.